Latest Railway Ticket Fare For Mumbai Local, including Mumbai Metro, Mumbai Western Railway (Local), Mumbai Central Railway (Local), AC Train and Mumbai Monorail are listed below. Commuters on Mumbai’s Monorail can buy either a Ticket or a Token. Cost of the Monorail ticket/token is as per the above table. No return journey ticket and token are issued. There is NO Monthly Pass on the Mumbai Monorail, but a Rs 150 Smart Card can be purchased. Rs 150 of the Mumbai Monorail Smart Card consists of Rs 100 as a refundable deposit and Rs 50 for travel. NOTE: Latest Railway Ticket Fare For Mumbai Local Train operated by Western Railway are effective from 28 June, 2014. 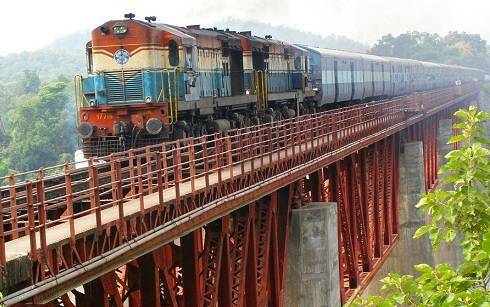 Mumbai’s Western Railway (WR) Suburban Local Train daily transports 3,500,000 (35 Lac) commuters. In the 2013-2014 financial year, Mumbai’s Western Railway Suburban Service earned Rs 678.73 crore. It incurred an annual loss of 88 crores. Mumbai’s WR Suburban service has 2,500,000 (25 lac) season (monthly, quarterly, half yearly, yearly) pass holders.In 2013-2014, WR in Mumbai earned Rs 366 crore from sale of local season passes. Please click on below Tariff Card to VIEW ticket fare for ALL WESTERN RAILWAY STATIONS. Please click on below Local Train Seasonal Pass Fare Chart for Monthly/Quarterly Pass fare for all Western Railway Suburban stations. Please click on below chart for First Class Monthly Pass Fare on Western Railway Suburban Line. Mumbai’s Central Railway (CR) Suburban Local Train daily transports 4,000,000 (40 Lac) commuters. In the 2013-2014 financial year, Mumbai’s Central Railway Suburban Service earned Rs 751.17 crore. It incurred an annual loss of 571 crores. Mumbai’s CR Suburban service has 3,000,000 (30 lac) season (monthly, quarterly, half yearly, yearly) pass holders.In Mumbai CR earned Rs 373.45 crore from the sale of local season passes. Please click on below Tariff Cards to view Single Ticket Fare for CENTRAL RAILWAY STATIONS – CST (VT) to KARJAT. Please click on the below fare chart for the latest First Class Monthly Pass Fare on Mumbai Central Railway from CST (VT) to Karjat. Please click on below fare chart for latest cost of ticket on Mumbai’s Local Central Railway Trains, from VT (CST) to Kasara. Please click on below fare chart for latest cost of Second Class Monthly Pass on Mumbai’s Local Central Railway Trains, from VT (CST) to Kasara. Please click on below fare chart for latest cost of Monthly First Class Train Pass on Mumbai Central Railway Suburban service from VT (CST) to Kasara. Please click on below Mumbai Local Harbour Line Fare Chart for train ticket cost on All Harbor Line Stations. Please click on below Mumbai Local Harbour Line Fare Chart for latest cost of Monthly Second Class Pass on All Harbor Line Stations. Please click on below Mumbai Suburban Harbour Line Fare Chart for cost of Monthly First Class Pass on All Harbor Line Stations. 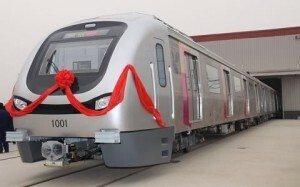 The ticket fare for Mumbai’s first metro (Versova-Andheri-Ghatkopar) is Rs 10 for the first month. 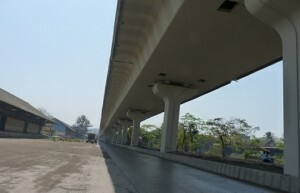 There is a dispute between the promoters of Mumbai Metro, Mumbai Metro One Pvt Ltd (MMOPL), and the state government. Once this dispute is resolved the final fare will be announced. Train Image by Susánica Tam. Image used under Creative Commons License by-nc-nd 2.5. Image by MAhEsH BaSeDiA. Image used under Creative Commons License CC BY-SA 3.0.